d7x v0.0.0.90 just released adds Windows 10 to custom app platform/OS restriction settings. If not configured, behavior should not change. Backwards compatibility note: This is the only area in d7x configurations where d7II may (and likely will) erase the setting entirely when used to edit the same custom app configuration. Although we’re not looking to add new features in d7x Alpha at the moment until we have tested everything, had good feedback from testers, and are confident in bringing this to the d7II “Pre-Release” stage, there are *minor* improvements we’d like to make along the way. This is a great example of what these look like. So if you have any suggestions that will add some real use to d7x right now, let us know. While we can’t guarantee anything no matter how small at the moment, we would like to see what the current ideas are shaping up to look like as we begin to wrap up some things and proceed to new areas in d7II code replacement. 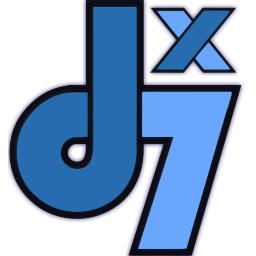 d7x (Alpha) September Update for d7II subscribers – Latest update includes a NEW d7x Remote Deployment Tool (d7II SFX Mini), a NEW Config Mgmt Portal, and more for testing!